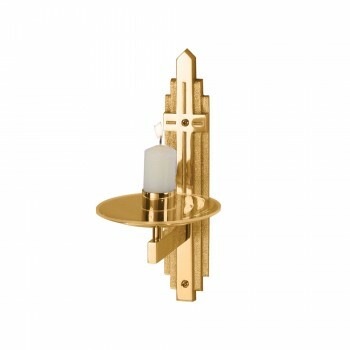 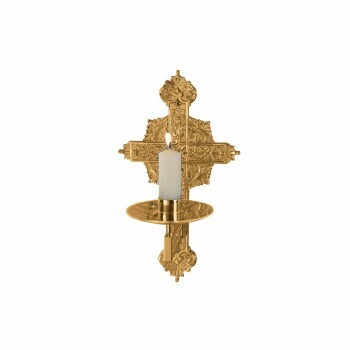 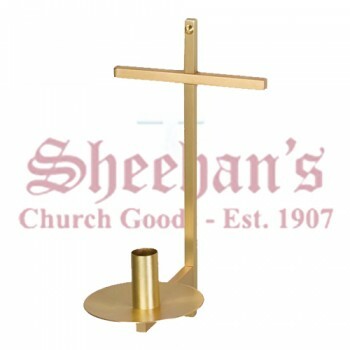 A consecration candle holder is a special type of wall-mounted candle holder that marks the spot where the church has been anointed with chrism oil in order to dedicate it to the Glory of God. 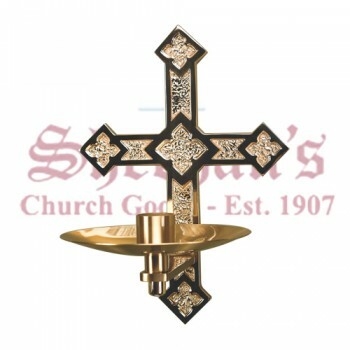 Consecration candle holders typically consist of a plaque with an attached candle holder. 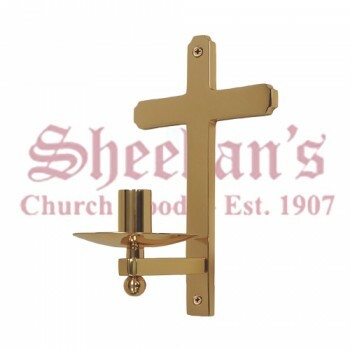 The plaque is often shaped like a cross or another easily recognizable religious symbol. 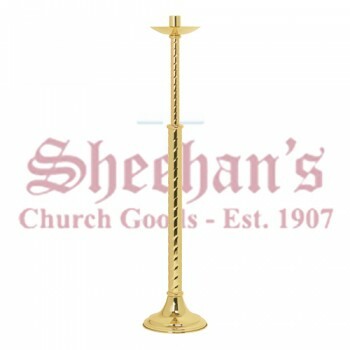 Consecration candles are lit yearly on the anniversary of the church's dedication. 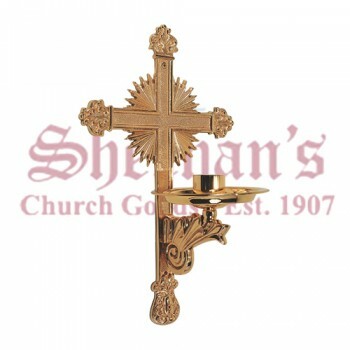 They are considered a sign of the sacredness of the church. 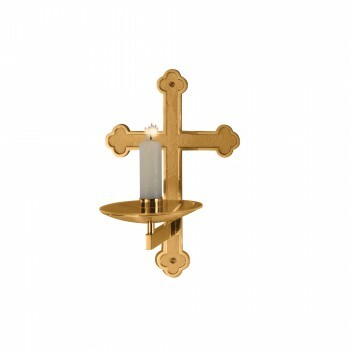 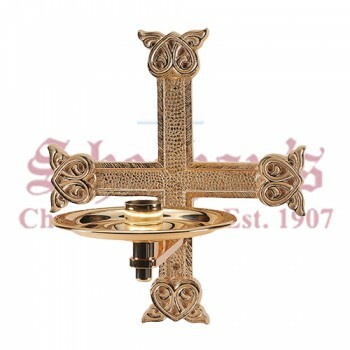 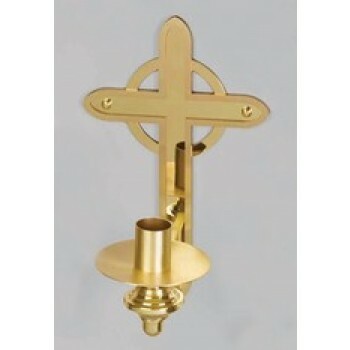 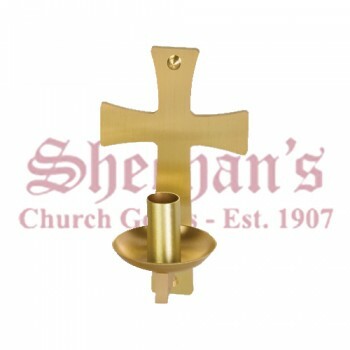 Consecration candle holders with cross dedication plaques are by far the most popular style. 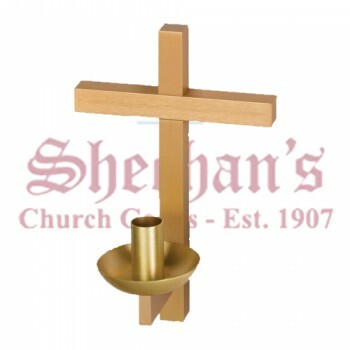 While the size and design of the crosses may vary, they are all designed to be mounted on the wall with a protruding candle holder at the base. 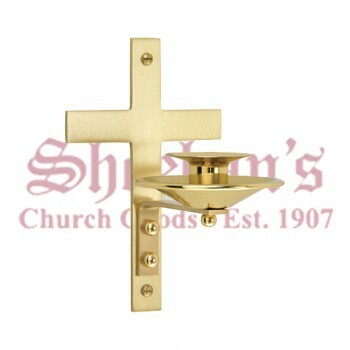 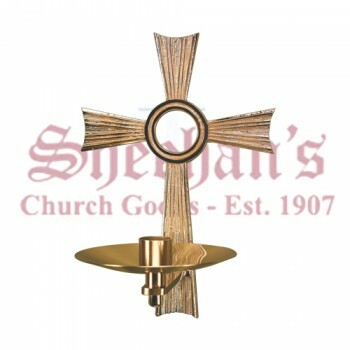 We carry all types of cross candle holders, from simple polished metal designs to more ornate 2-tone creations. 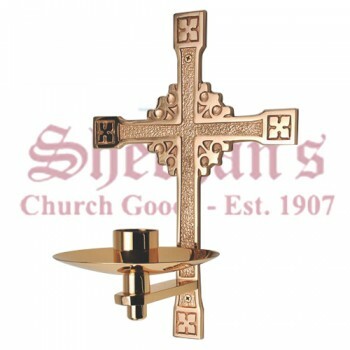 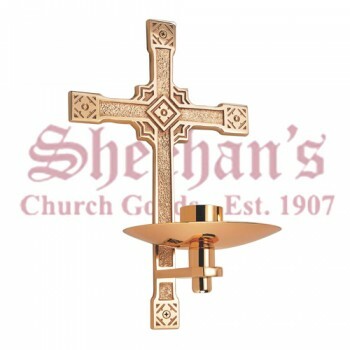 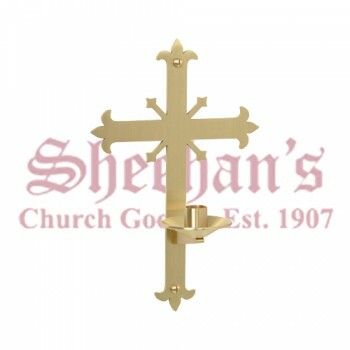 Matthew F. Sheehan is dedicated to offering the finest quality church goods on the market. 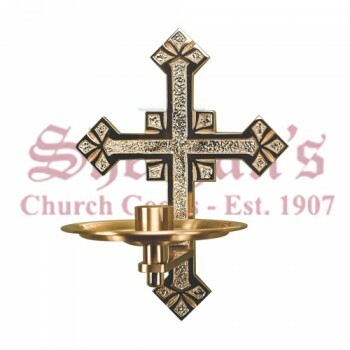 If you're looking for a consecration candle with dedication plaque or even just a simple wall bracket, you'll find an incredible selection of styles and sizes to choose from in every price range. 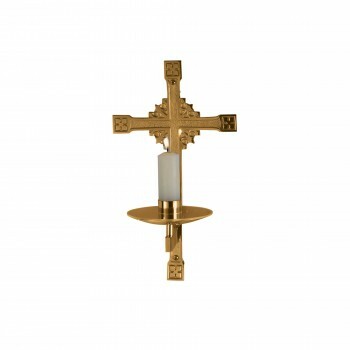 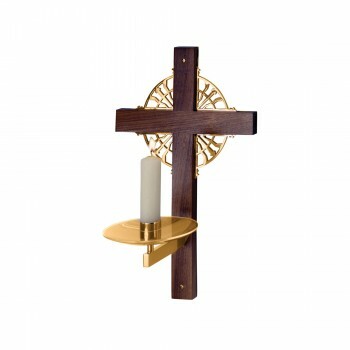 Whether you're looking for a small cross consecration wall mounted candle holder or large bronze wall candle holders, our impressive selection is sure to include the perfect piece for your church or cathedral. 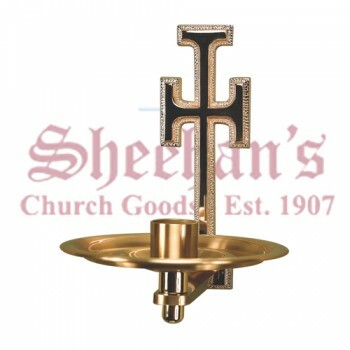 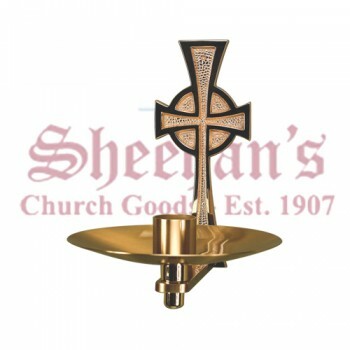 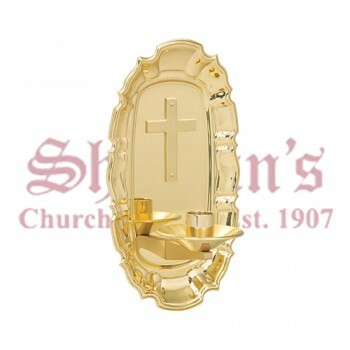 Matthew F. Sheehan has been in business since 1907 and is the leading supplier of top-quality church goods including premium consecration candle holders. 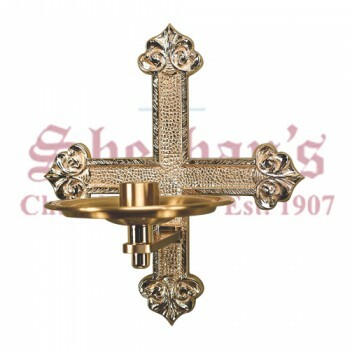 Shop online from the convenience of your own home and enjoy fast shipping on every order. 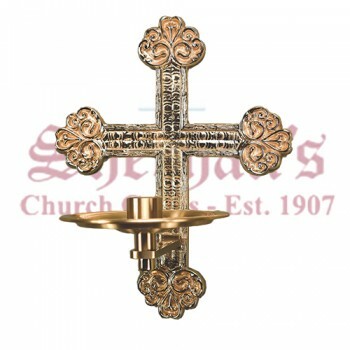 For questions about a particular consecration candle holder or for help choosing a style, please call us at 1-617-971-9800 during our normal business hours and we'll be glad to help. 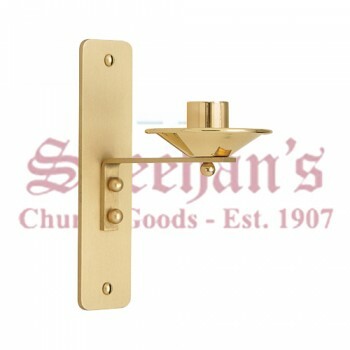 Calls are connected directly to knowledgeable customer service representatives that are ready to assist you.